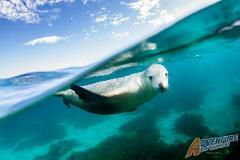 This voucher entitles the holder to a Family Swim with the Sea Lions experience. 2 Adults and 2 Children. $100 Voucher for any Adventure Bay Charters tour. Not valid with any other promotional offer and underwater access not included. 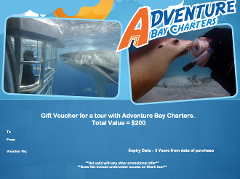 $200 Voucher for any Adventure Bay Charters tour. Not valid with any other promotional offer and underwater access not included.